Py was a Frenchman working for the Belgian Henri Lepage and the Austrian Max Glücksmann at the 'Casa Lepage', a photographic supplies business in Buenos Aires. The three all saw the debut of the Lumière Cinématographe in Argentina, in Buenos Aires on 28 July 1896, at the Teatro Odéon. Lepage then imported the first French cinematographic equipment into the country. 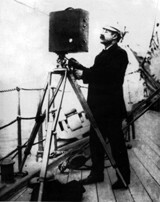 In 1897, using a Gaumont camera, Py (known as Eugenio Py in South America) subsequently shot the first Argentinian film, La Bandera Argentina (The Argentine Flag). Py continued to produce films for exhibition at the Casa Lepage for several years, chiefly simple actualities, working as part of the cross-national film production, distribution and exhibition system developed by Glücksmann in Argentina, Uruguay and Chile. 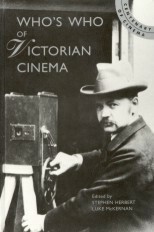 Py's early films included Visita del Dr Campos Salles a Buenos Aires (1900), La revista de la Escuadra Argentina (1901) and Visita del general Mitre al Museo Histórico (1901). Py's most notable assignment was to film, in 1900, the surgical operations of Dr Posadas. This was conducted in the noon daylight, and taken with a Pathé camera from two angles: one showing the overall view, the other the detail of the operation.